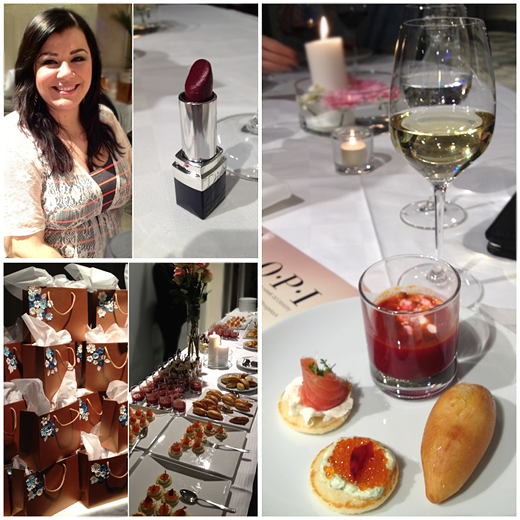 The second photo collage: One of my table companions was the lovely YouTube guru Miriam from MirlidNailArt // Her beautiful Dior lipstick. // Gifts! // Delicious food from Poland, Hungary, Czech Republic and Romania. 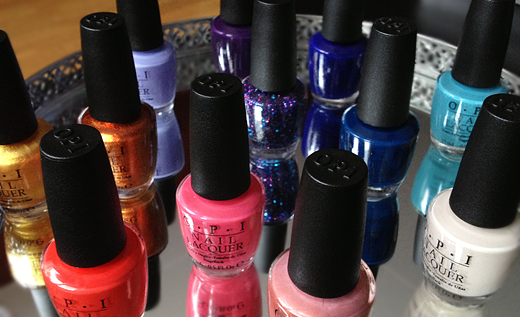 Euro Centrale - that's the name of OPI's new fashion collection for spring 2013. Ahh.. The name makes me think of (and hear) honks echoing through busy european cities in the afternoon sun. It's playing out in my mind just like it would be an old memory. My mind somehow pictures Milano but the collection is inspired by Czech Republic, Hungary, Poland and Romania and to me the colours fit perfectly. What stood as a steady base for choosing the colours for this collection was, of course, the spring fashion trends and with us at the event last week was Sara Winter from the Swedish Fashion Council who payed a visit to inform us about the trends for this coming season. I would say it gets very "vintage" this season but in kind of a modern way (if that makes sense). From the 30's, 40's and 50's with stripes, dots and black & white patterns; Luxury, riviera and pastel colours to 70's Chinese silk fabric patterns; Strong colours "urban style" with a mix of patterns and grafic prints and all the way to clean, sporty, preppy looks with a lot of white and simple color accents. 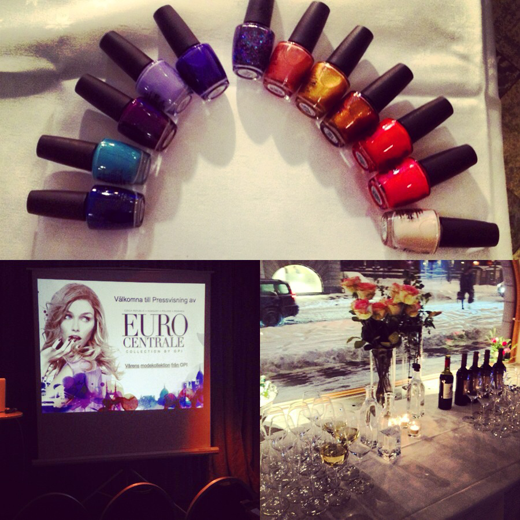 Naturally, all these trends goes for the nails as well! A great presentation which got me more excited and inspired than I would have thought. All I want to do now is to capture these "vintage" trends in nail-art & makeup and I'll be sure to post pictures if I do - here or on Instagram.